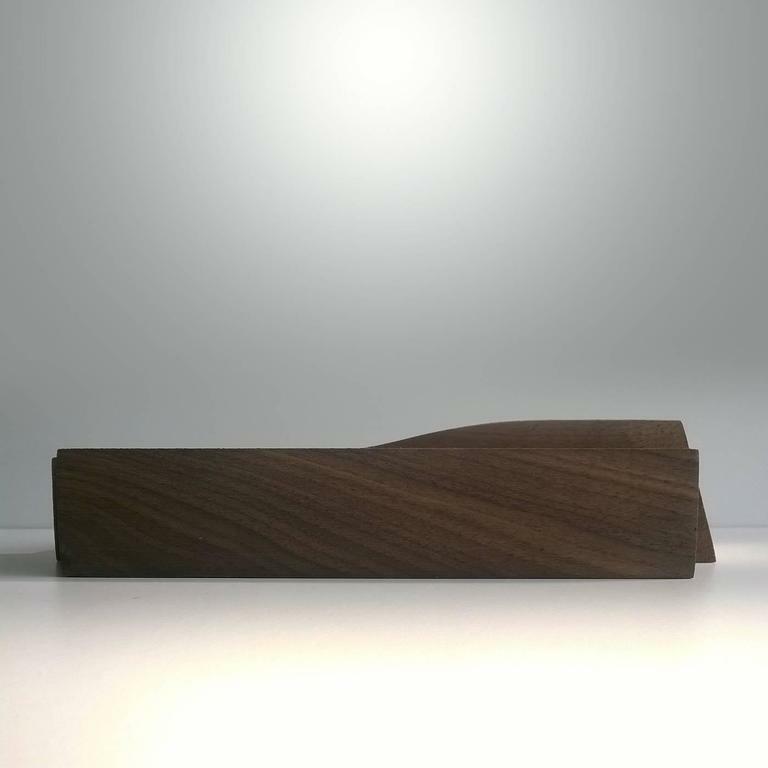 This striking piece of functional design is part of a limited edition of 20 objects; all numbered and signed, and will make a statement in any living room, particularly if surrounded by a contemporary decor. 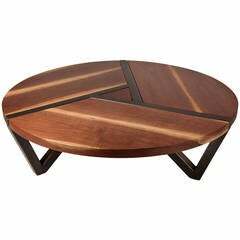 Its irregular silhouette is made of four shaped logs of American walnut wood that, with its dark hue, adds a touch of elegance to this modern piece. 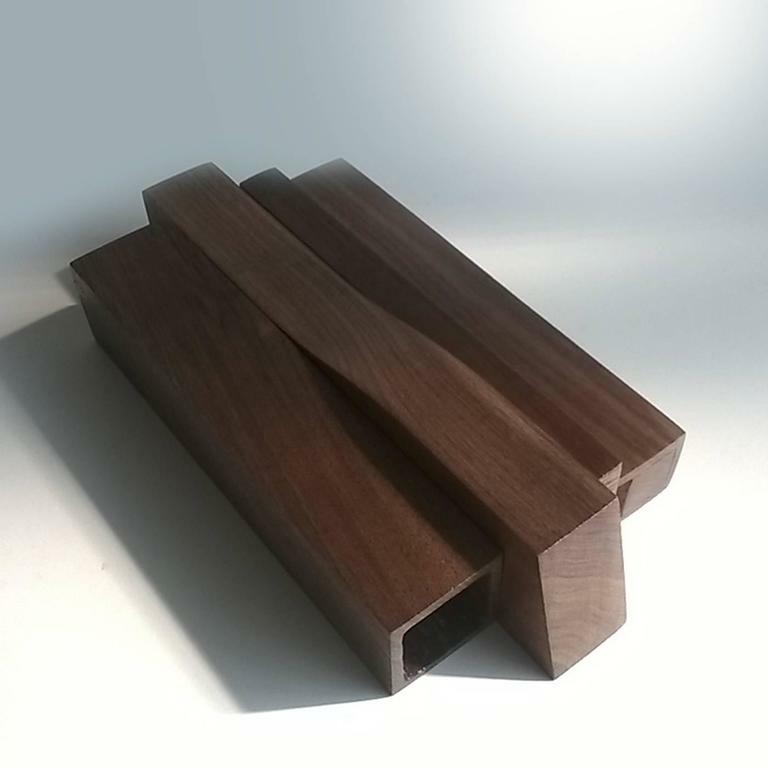 Other woods available: durmast oak, cherry, and maple in 16 different finishes. 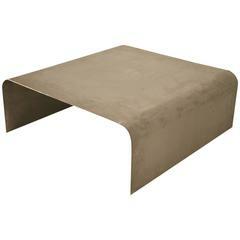 The metal structure of this exquisite coffee table has an oxidized finish. The top shelf is in Calcatta Vagli marble. 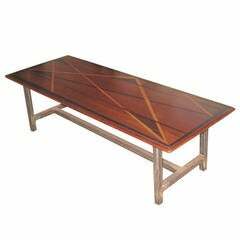 Coffee table with handsomely inlaid top of exotic woods in geometric patterns. Recently added metal base. Handpicked by by buyers at Ann-Morris Inc. 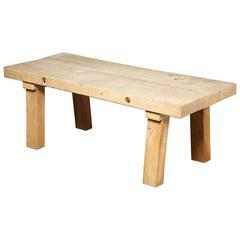 Manufactured by Old Plank, this heavy duty solid steel coffee table is available in any size. 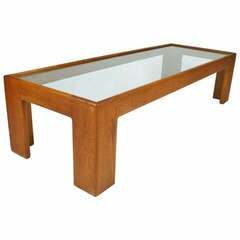 Modern coffee table with maple-top on "X" design steel base.